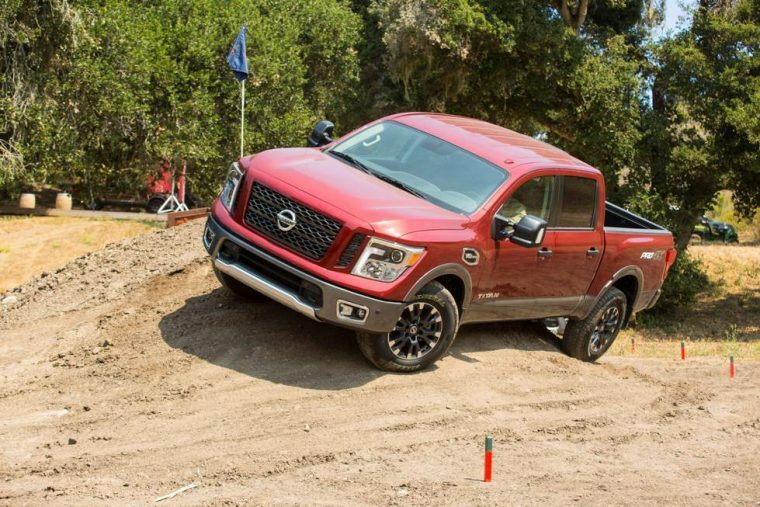 The all-new Nissan Titan is taking the truck world by storm, with the brand taking home many awards in a category usually dominated by Detroit’s Big Three. This month, at the Chicago Auto Show, the Nissan Titan took home MotorWeek’s Drivers’ Choice Award in the “Best Pickup Truck” category for 2017, further confirming that Nissan trucks are here to stay. This award is a big deal, not only because it honors an all-new Nissan product, but because this is the second year in a row that Nissan has taken home the award. In 2016, the Nissan Titan XD, then fresh out of a redesign, added the trophy to its list of accomplishments. Last year, MotorWeek praised the Nissan Titan XD for filling the gap between a standard truck and heavy duty models with ease. This year, the award for the Nissan Titan lets the automaker know that they are on the right road with trucks. As the name implies, the award is given by drivers, so recognition like this tells the Japanese manufacturer that what they build is what American truck buyers are looking for. We certainly look forward to the innovation that will be spurred on in the world of trucks as the fight for American truck buyers affection heats up.